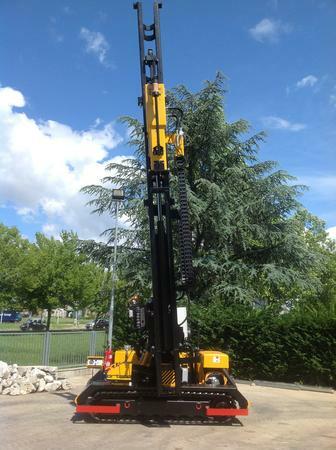 The Piledriver ORTECO 1500 FEX with 6m column is a new machine intended to meet the needs of piling in difficult conditions, off-road and with important slopes, a situation that frequently arises in the case of work for Photovoltaic systems. The characteristics are analogous to those of 1000 FEX, with the addition of the possibility of piling with a total height up to 6m on land with a maximum inclination of 8 °. Another standard feature of this model is the steel crawlers which allows you to work on any type of soil. The machine is supplied with an accessories kit aimed at safeguarding the safety of the operators and the maximum comfort in their work.